biblical literalism, Christopher Cudworth, God is love, God the Contrarian, love abounds, the Right Kind of Pride, What is god? Something in human nature craves the idea there is always something more than what we see on the surface of existence. We choose God as that focus. Yet it is most often pride of ownership that obscures the known and unknown channels to God. For God is the Great Contrarian. We call God a Creator. Yet everything created by God is always, and ultimately, destroyed. We call God the Author of Life. Yet we know that 99% of all living things that once lived on the earth are now extinct. We call God a King and celebrate God’s Kingdom. Yet the true authors of that kingdom often painfully pass into death. They are symbols for the challenge all of us face. Some speak of the End Times as if there were a beginning and an end. But that is the wrong kind of human pride at work again. We’re told we cannot know that time, when in fact we cannot know time at all. It is forever behind and ahead of us. All we can truly know is this vibrant present. It too is destroyed. That does not mean we are helpless in time. God is clear that love is an operative that brings life into full focus. We are encouraged through love to look beyond the self. Thus the world expands in our presence. And God’s presence is brought to us. This selfless love can however be abused. It can face injustice. Even unto death. That is exactly what God the Contrarian asks us all to embrace. Love is no sin. And sin is no love. To understand our role in this world we must begin by knowing love even at risk of losing it. Only then can we begin to appreciate what life really is about. That does not mean we are meant to squander that which is precious or meaningful. We know God as well through all that exists around us. Our great scriptures call up images of God through natural symbols. These help us understand spiritual principles. Mustard seeds. Yeast in the dough. The Right Kind of Pride does not force these symbols into a role they were never intended to play. Seven days. Snakes in the Garden. These help us understand the advent of Creation, human nature and sin. But they are not the Final Word. In fact The Final Word is love. That is what God wants us to know. For love exists outside the realm of all we call tangible, literal and temporal. It is both rational and irrational. And love is real. That is why God is real. For God is love. All our understanding must pass through this test if we hope to appreciate the motives of God. We may find ourselves contradicting the habits of society and commerce. We may find ourselves speaking alone against a crowd of voices fixed with fury and political fervor, shouting us down. Telling us that we just don’t “get it,” and that tradition says we’re wrong. But are we out of touch with reality? Really? When we act the Contrarian in good conscience, advocating for protection of the poor out of love and mercy, we are not out of touch. We are in touch with God. And when we side with causes of mercy and social justice despite the inconvenience it represents to commerce and human society, we are in touch with God’s wishes for humankind. These are not simple principles by which to abide. If they were, everyone would do them. Instead they require a vigilance for which so few have an appetite. Comforts distract. So does access to power and human selfishness. But God the Contrarian sees all that and knows the hearts of human beings. That is where God connects with all of us. Even those who do not profess belief in God have a heart of their own. Neither are they ignored. Grace extends to all. Knows all faiths. And the lack of it. For love abounds. It only disappears when we attempt to confine it to our selfish purposes or turn it into a weapon or a tool for control. We see it every day. The force of love can kill if it is wielded with sufficient anger and fear. God the Contrarian knows that too. God has loved the world to death before. It is woven into the nature of all existence, the expression of all destruction. To come and go with wisdom, we must know this simple truth, and remember it well. God is love, and the force of love can save, or kill. Our better natures are like God the model of contrition. God call us to this example. All of nature and a world of love awaits our answer. 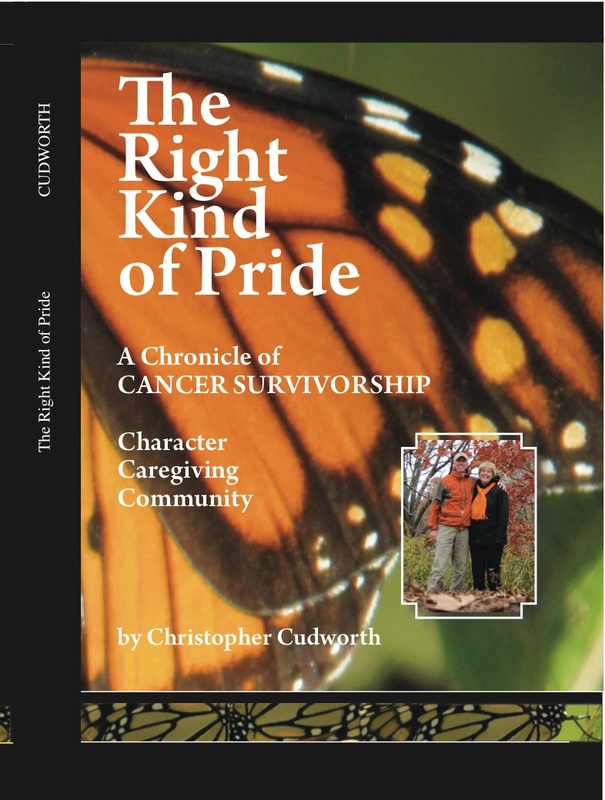 This blog is a reflection on the principles found in the book The Right Kind of Pride by Christopher Cudworth, about the importance of character, caregiving and community in this world. It is available on Amazon.com.